The endless savannahs of the Serengeti dotted with Acacia trees has to be one of the most iconic images of Africa. The setting of Out of Africa and many other great safari stories Tanzania is one of Africa’s iconic safari destinations, famous for the Great Migration and the scenic beauty of the Ngorongoro Crater. Tanzania is not just famous for its wildlife but also its cultural and historical legacy as the birthplace of humankind and many famous tribes such as the Hadzabe. Visitors can enjoy the ultimate bush and beach holiday on the spectacular sandy white beaches on the Spice Island of Zanzibar. 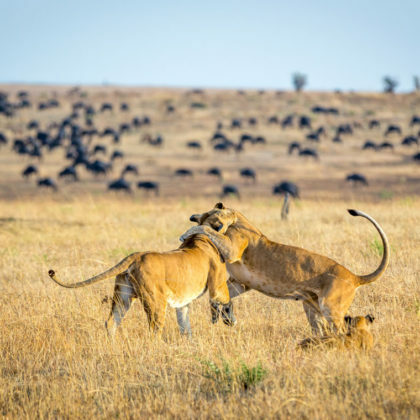 Few names evoke the sense of an African safari more than that of the Serengeti which is famed for the greatest concentration of wildlife in Africa and is setting for one of Africa’s greatest spectacles – the Great Migration. The Serengeti is one of Tanzania’s flagship national parks with its iconic landscapes of rolling savannahs scattered with thorn trees. 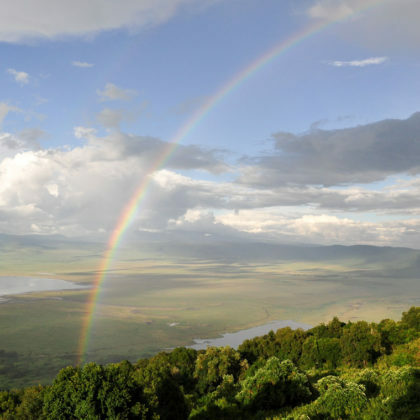 One of Africa’s most renowned safari destinations is the Ngorongoro Crater which was formed when a large volcano collapsed in on itself about 3 million years ago. It is a UNESCO World Heritage Site. The walls of the crater created a natural reserve which is home to some of the greatest concentrations of wildlife in Africa. 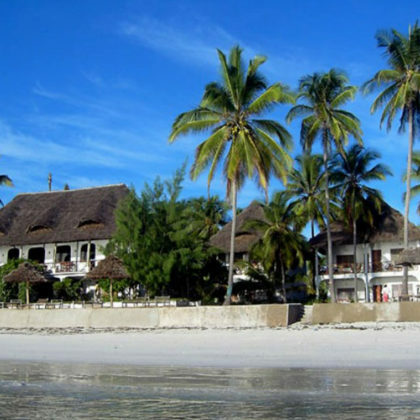 Zanzibar conjures up images of untouched sandy white beached and exotic sweet smelling spice markets. Zanzibar is an archipelago made up of over fifty islands in the Indian Ocean off the Tanzanian coast. The island’s capital Stone Town is a UNESCO World Heritage Site due to its historical and artistic role in the development of the Swahili culture which is a mix of Arab, Persian and European influences. The Selous Game Reserve supports some of the largest concentrations of wildlife on the continent. 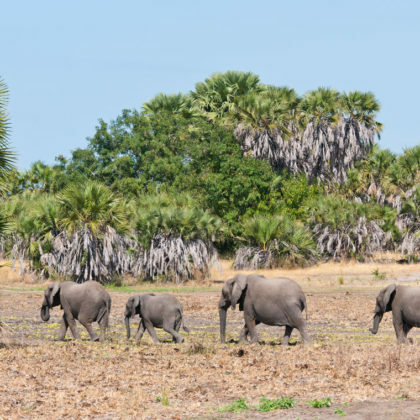 During the dry season from July to October huge herds of elephants congregate along the banks of the Rufiji River. The region is known for the quality of its walking safaris and boat-based game viewing. 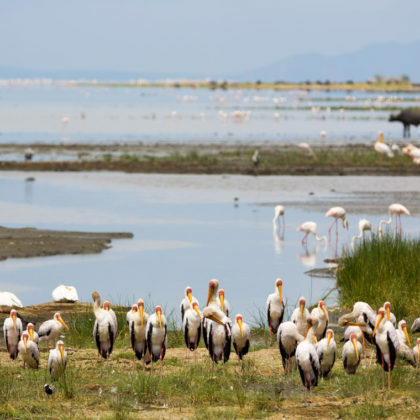 Earnest Hemmingway described the setting of Lake Manyara as “the loveliest I have seen in Africa”. The park is known for its hundred strong troops of baboons that are considered to be the largest groups in Africa. The park is also known for its tree climbing lions, a practice more common among leopards.